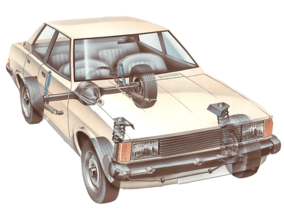 A trailing-arm suspension on a rear-wheel-drive car. The arm is attached to the rear wheel hub and broadens into a V whose two arms extend forward to pivot on the frame. 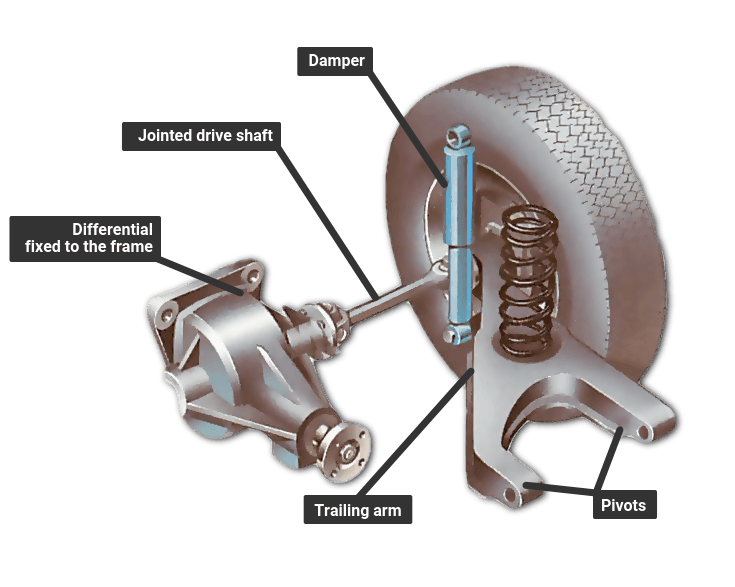 The differential is fixed to the frame and the drive shafts have universal joints.